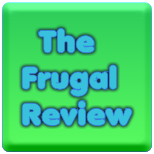 FRUGAL REVIEW: Free Samples, Sweeps and Freebies! *New* Free $30 Schoola Credit + Free Shipping = Free Items! Free Custom Knob Creek Labels! Noxema - Coupon for $2 Off Razors, Only $0.67 at Walmart!